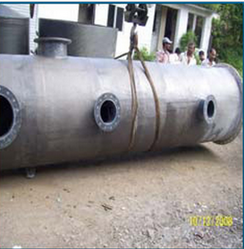 Anand Composites offer a wide range of Chemical equipments. Ensuring safety and uptime for Chemical production facilities present unique machinery types that PdM solutions can help maintain their reliability and uptime while eliminating the risk of widespread environmental issues or disasters. We are engaged in offering Chemical Process Equipment that are appreciated by the clients for their anti abrasive and non-corrosive properties. 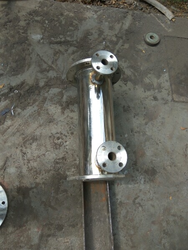 We manufacture these using finest grade raw material under the vigilance of strict quality controllers. Easy to maintain, these equipment are in line with the set industry standards. We hold industry expertise for producing Chemical Equipment, which are extensively used in diversified sectors. These equipment are developed in tandem with prevailing quality standards with the help of advanced tools and technology. Besides, we have a widespread distribution network that allows us reach clients on time. We are a reckoned manufacturer of Chemical Reactors, which are acknowledged for performance and longer service life. These find extensive application in chemical and pharmaceutical industries. Developed using high-grade material under quality bound process, these are widely appreciated in the market.